Love is in the air and players can feel it. Many pirates have been on long and tough journeys defeating troublesome bosses and claiming legendary treasures, and they think it might be time to take a break and show their partner some love. The most cheerful of pirates are the giving ones, those who share a rose or two with their partner. Lots of players await something special, maybe an expensive item as a gift or physical contact from their loved ones. It's Valentine's day and there's no better way of showing love than now! Therefore all players are invited to share some of their love together this year! There's been placed a Rose in mall, 11 pieces for 5 rums under the category Character. 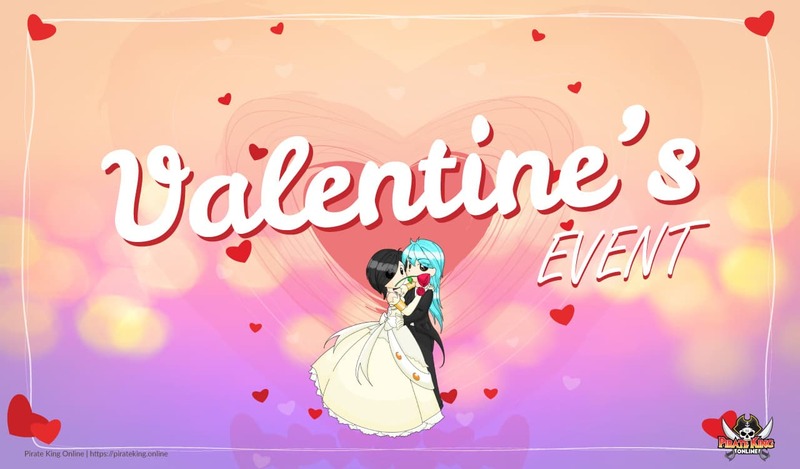 The special items obtained will only be usable until February 27th, as by then the magical charm of love will disappear.